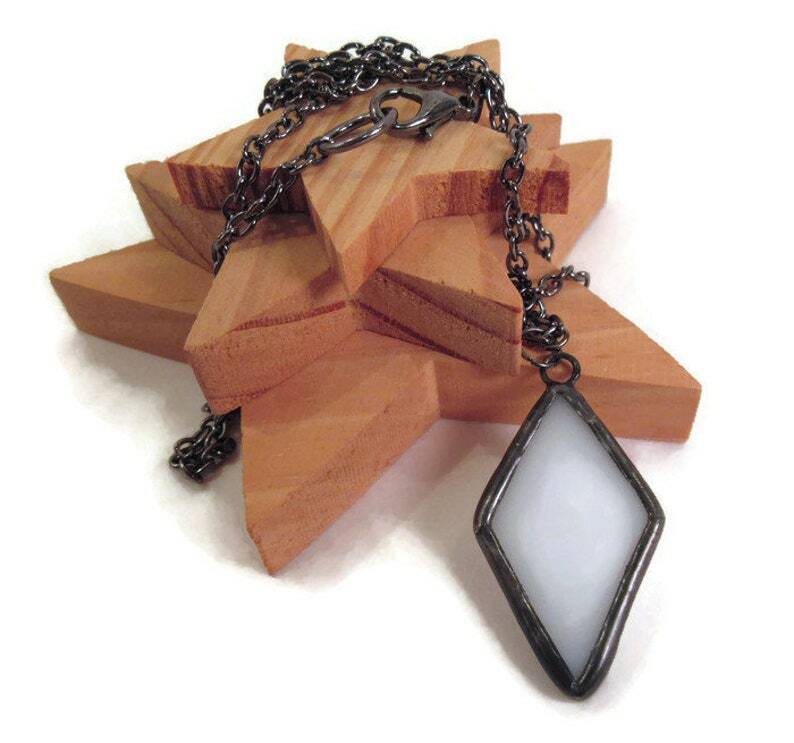 Glass pendant created using a solid piece of white stained glass, cut into a diamond shape. This pretty white pendant is handmade, crafted from glass and soldered with metal. The pendant has been foiled, soldered with lead free solder and then given a dark patina. The glass pendant has been waxed and polished then hung on a long gunmetal chain. Like all of my handmade jewelry it comes packaged in a handmade fleece gift bag that is ready for gift giving or safe keeping.